ATTENTION!!! WE WILL BE DOING SHUTOFFS APRIL THE 4TH IF YOU HAVE A PAST DUE BALANCE YOU NEED TO HAVE IT TAKEN CARE OF BY 8:00 AM ON THAT DAY IF NOT YOUR WATER WILL BE SHUT OFF AND WILL NOT BE TURNED BACK ON UNTIL FULL PAYMENT IS MADE. Welcome to our website !! 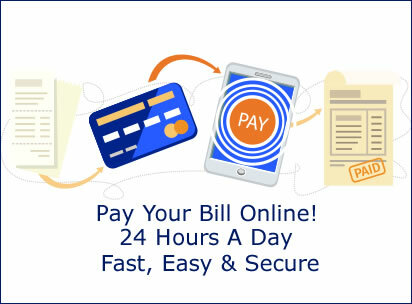 We accept credit and debit cards over the phone or in office also we offer direct pay from a checking account if you are interested in this service contact our office to fill out the proper paper. Water is made up of two Hydrogen and one Oxygen molecule connected by covalent bonds. It's molar mass is 18.02 g/mol. Water makes up 70% of an adult's body weight and it makes up 100% of what we do at Butler County Water District. Much more fresh water is stored under the ground in aquifers than on the earth's surface's 326 million cubic miles of water. The United States uses about 346,000 million gallons of fresh water a day, about 80% for irrigation and thermoelectric power.